A model for change that continues to give back 100%. 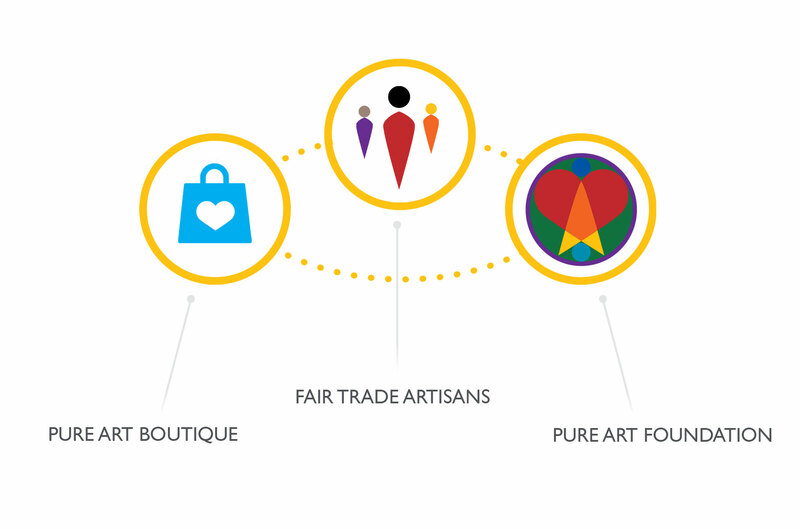 We partner with the Pure Art Boutique, a Canadian fair trade store, operating as a non-profit, that absorbs the administrative costs of running the Foundation. This way, we ensure that 100% of public donations go directly to our sustainability programs in Peru, Tanzania & Nepal. The Art of Shopping with a Purpose™ is a partnership between the Pure Art Foundation and the Pure Art Boutique. It’s a model, beyond charity, that brings Fair Trade principles, talented artisans & sustainable development into a partnership that seeks to empower marginalized communities from around the world through the healing power of art. Working directly with artisan co-ops & other fair trade brands with their own social missions, we are able to create a ripple effect for social change that touches a growing network of people.